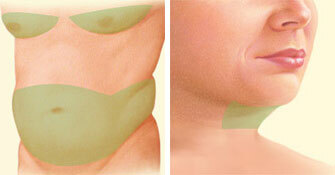 Liposuction in Cleveland, Ohio - Daniel A. Medalie, M.D. Now among the most popular cosmetic surgery procedures, liposuction (also known as “lipoplasty” or “suction lipectomy”) sculpts the body by removing undesirable fat from areas around the thighs, knees, buttocks, waist, hips, abdomen, chin, cheeks, neck and upper arms. 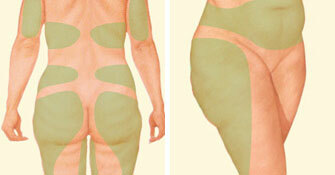 Dr. Medalie typically performs liposuction as an outpatient procedure. He specializes in power assisted body sculpting, “tumescent liposuction”, “super-wet liposuction” and ultrasonic liposuction. Medications are administered for your comfort during the surgical procedure. The choices include local anesthesia, intravenous sedation and general anesthesia. For large volume liposuction, Dr. Medalie recommends general anesthesia. Smaller volumes can safely be done in his office under local anesthesia with some oral ativan to make you more relaxed. First, diluted local anesthesia is infused to reduce bleeding and trauma (tumescent or super wet technique). Then a thin hollow tube, or cannula, is inserted through the incisions to loosen excess fat using a controlled back and forth motion. 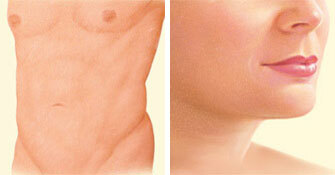 The dislodged fat is then suctioned out of the body using a surgical vacuum or syringe attached to the cannula. Dr. Medalie prefers to use power assisted liposuction with a rapidly vibrating cannula to help speed up the process. After surgery adhesive foam is placed over the areas suctioned and the foam is covered by a compression garment to help minimize the bruising and swelling. Your improved body contour will be apparent once the swelling and fluid retention commonly experienced following liposuction subside. Typically what you see is not what you get until you are at least three months out from surgery. The areas suctioned can even then feel a little numb and firm until the body has completely healed at around 6-9 months. It should be noted that in the abdomen area, sometimes a tummy tuck is a better option than liposuction alone becasue liposuction does not tighten skin or get rid of stretch marks as effectively as tummy tuck surgery.